Taylor Rental of Wallingford will carefully execute your specific needs and ensure that your event is professionally planned, something you can be proud of and that your guests will enjoy. Our team has experience with special events from 10 to 1,000 people! Taylor Rental can provide our Arches, Wedding Canopies, Wine Barrels, Wine Barrel Bar, Wooden Crates, Assorted Linen, and China, Glassware, Flatware, Tents, Tables, Chairs and many more items of need. 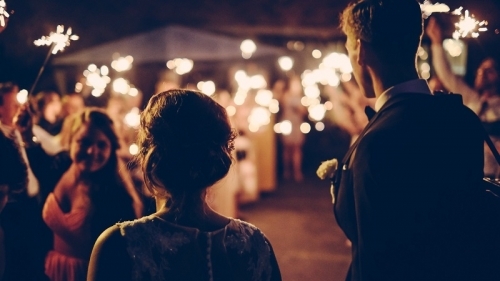 Here at Taylor Rental of Wallingford we have an onsite event coordinator that can help plan, organize and brainstorm many ways and ideas to make your special day is exactly how you wanted it. Baby Showers are the time to celebrate a new life and to fill the event with joy and happiness. Bridal Showers are the time to celebrate the start of a new marriage and the celebrating the excitement of a new chapter with your significant other! For those who prefer to host the party outside, we offer garden umbrella tables to shade the mom-to-be and guests from the sun. We can provide beautiful silver, stainless steel and glass pitchers and chafers to heat and serve your refreshments. For our soon to be brides coming down to the showroom might be all you need to indulge in the décor. Taylor Rental can also provide you with linen of your choice to fit any theme you are trying to gather. For a cute technique to add festivity to your baby shower table, fold the napkins in the shape of a diaper and secure them with a safety pin. It is becoming more common to have young children attend baby showers with their mothers, use our child height tables and chairs to accommodate your needs. Make your drink tub look like a baby’s bath tub by placing floating toys into our galvanized tubs. Small bites and cocktails go a long way! Use our family size serving trays to accommodate for your guests. Looking for a way to lead your guests to the right part of the vineyard or banquet room? Our a-frame chalkboards will be a perfect sign to lead the way. Our champagne fountain can be the perfect touch your event needs to keep it classy and under control. Taylor Rental of Wallingford has equipped every type of birthday party imaginable. We have seen it all from a child’s first birthday to an 80th surprise party. We can help coordinate and provide for a small intimate dinner or a family gathering at your home. Not only does Taylor Rental cater to adults but we offer tables, chairs, and games for all ages. Flute champagne glasses are perfect for birthday toasts while tents, dance floors, lighting, chocolate fountains and our wide range of concession equipment will embrace and sophisticate any type of party. When sending out invitations ask guests to send a photo of themselves with the birthday guest of honor. Use these photos as place cards for that individual at the tables. For children’s birthday parties allow the guests to make their own goodie bags by decorating their own personal cakes or cupcakes on our child height tables. Activities and games are always a great icebreaker and a good way to entertain large gatherings with a wide variety of age groups. We carry Karaoke machines, dunk tanks, volleyball nets and many more games. Here at Taylor Rental of Wallingford we understand how important and meaningful anniversaries can be and because of this we realize the careful attention to detail that is necessary for a successful event. A simple and easy way to establish a theme for the party is to decorate according to the year of marriage. For example, for a 25th anniversary, silver is the traditional gift. For this party, incorporate silver throughout the party whether it is with our table cloths, flatware, chargers, or chairs. A fun way to remember the year of the couple’s marriage is to play music that was popular the year that they were married. This idea refreshes everyone’s memory of their wedding day. Prepare a slide show from the couple’s first date to the present day and play throughout the party on our LCD multimedia projector on our outdoor or indoor screens. Having a family reunion? Let us help with your seating, games and food serving ideas. If it’s a hot summer day at the park you might consider a canopy for shade. Remember to include tables for serving food and we suggest using our chill table and coolers to put your bowls of perishable food and drinks in to keep cool. Some beach and park areas require a permit for large crowds so be sure to check before your event. Something you might consider ahead of time is collecting family stories and compiling them in a book to hand out at the reunion. Some families like to gather health information from the older members that might give clues and helpful information to younger families. Games that mix families together are important and surprisingly hilarious. Awards can be given for farthest traveler to the funniest toes. Your high school or college graduate will appreciate their achievement being celebrated. Theme your party by using school colors or base the theme on your college grad's major. Offer few games, because at this age, they really enjoy just spending time with their family and friends. Celebrate with champagne glasses and use our coolers to keep other beverages cool for your entire event. Rent our dunk tank for fun for all ages in the heat of the summer this is the perfect item to use to cool down and entertain! For high school graduates consider incorporating colors from their high school and colors from the college they'll be attending.